Our aim is to ensure that everyone we treat experiences exceptional levels of service. Thank you for choosing McNaughton Family Dental, a premier dental practice located in Wallaceburg, Ontario. Dr. Mike Cho-Young and Associates are committed to offering the best dental care available for the whole family in a compassionate, relaxed atmosphere. One of the first things people notice about you is your smile! At McNaughton Family Dental, we are pleased to provide several general and aesthetic treatment options for enhancing your smile! We appreciate your interest in our practice. Working together we can assist your entire family in maintaining healthy, beautiful smiles for years to come. Thank you for choosing McNaughton Family Dental! 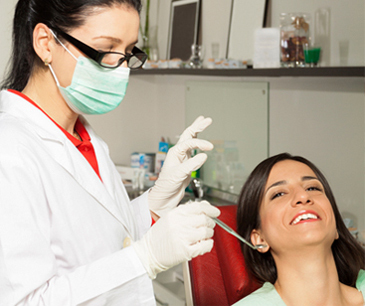 We provide all aspects of dentistry from routine dental health to affordable dentures. Our services include crowns and bridges, dental hygiene (cleanings), wisdom teeth removal, sedation dentistry, cosmetic dentistry, and veneers.